As you breathe in, your body, lungs, brain and consciousness should be receptive rather than active. Breath is received as a divine gift and should not be drawn in forcefully. This is a little message that B.K.S. 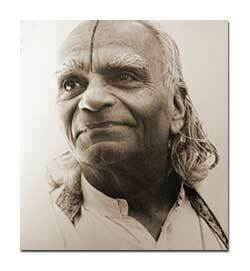 Iyengar sent me today. He sandwiched this 3-liner in the middle of his book, “Light on Pranayama: The Yogic Art of Breathing,” and in the quiet moments between Hazel catching the bus and Nora getting out of bed, I read it and loved it. Let’s break it down. I love that these are the parts with which I might eventually have simultaneous awareness and have some sort of coordinated mastery over such that I can actually direct the function of my body, lungs brain and consciousness all at the same time. It’s not an outrageous statement. It sounds simple when Mr. Iyengar slips it into the middle of the instructions on how to learn Ujjayi Pranayama. I’ve been living with my body, lungs, brain and consciousness for 36 years, so I don’t have to go out looking for them, but wow. Get all those parts to work together? Yoga, you ask me to do things that are so simple and yet sooooo not. This is a big shift that I’ve been creeping toward, veeeerrrry slowly. I’ve gone through a lot of my life believing that my efforts, my will, and my action are the forces that will make things happen in my life. There’s a lot of energy and responsibility that goes into that approach. Sometimes it is appropriate. Arjuna, Ricky Martin and I are living the vida loca…wait, I mean the kriya yoga, yoga of action, after all. But there are a lot of other forces at work and a lot of things that I don’t actually have control over. An attitude of receptivity means there is no ego-centered assumption that I control everything in my life. Receptivity makes living in the present moment possible and even enjoyable. Receptivity means that the people that I love to spend time with don’t feel like I’ve got an agenda for our time together or our relationships. It opens my life to things that I couldn’t have dreamed up on my own but that are a part of the beauty and the mysteries of life. I don’t always feel this way, but today, I feel like that word, “breath” could be pulled out and a blank line put in it’s place. What isn’t a divine gift? Breath. Body. Loved ones. Yoga. Books. Food. Butterflies. Soft clothes. Kittens. Coffee. Ricky Martin. See what I mean? And when I start thinking about divine gifts I’m offered all the time, there is so much more majesty, gratitude and wonder in my life. I’m into it. I want to tack this phrase onto every asana instruction, every self-imposed demand, every breath so that I can chill out, be more kind and have a nurturing and sustainable yoga/life experience. Not drawing things in forcefully connects all these other points mentioned above. With connectedness in the body, lungs, brain and consciousness, there’s a lot less likelihood of forcefulness. When we are receptive rather than active, less force. Divine gifts? They aren’t shoved down your throat, they are offered. These words are just the right ones for me to take in and soak up. I really needed the reminder. I’m so glad that in the 10 years that I’ve owned the book, I actually decided to read it and had the ten minutes to pick it up and soak it in. < Previous What’s the remedy? More cowbell, yoga, and meditation.